This assurance, provided by Dr. Hans Rosling in his book “Factfulness”, is based on several key data points. Two key data trends are - a rise in life expectancy along with a decline in child mortality. By 2050, the world population is anticipated to be ~ 9 billion, of which 2 billion will be above 60 years. With strong population growth and a high percentage of an aging population – the focus on healthcare services will only increase. 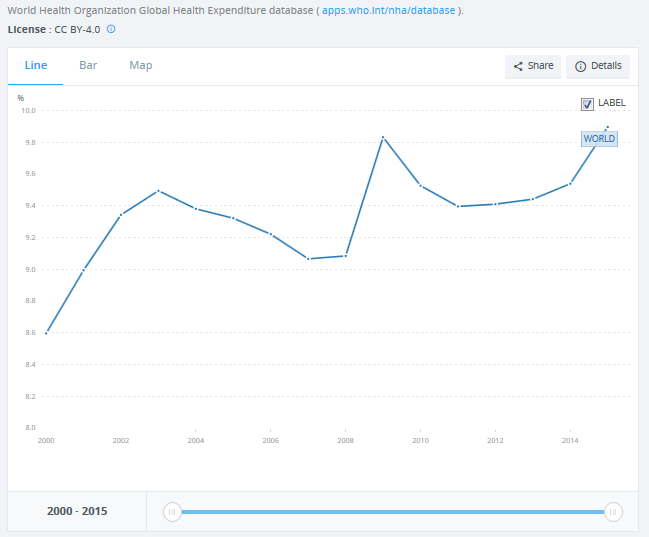 Today, ~10% of global GDP is spent on healthcare, which is on an upward trend. This, along with advances in healthcare technologies is increasing life expectancy. Even though the structure and delivery mechanism of healthcare varies per geography, many of their challenges are strikingly similar. Many of these challenges can be improved or solved utilizing digital technologies including intelligent automation! 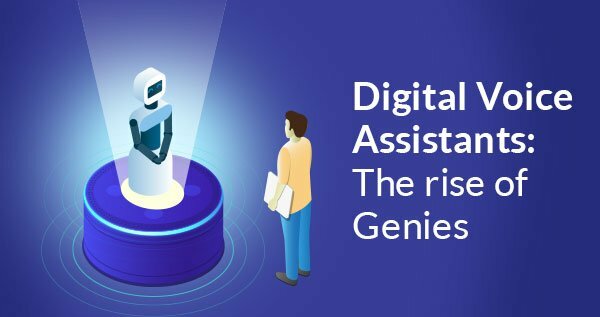 Intelligent automation sometimes referred to as Robotic Process Automation (RPA) typically involves software workflows or scripts that help simplify and streamline business processes by automating high-volume, repetitive, multi-step tasks. A growing number of organizations are recognizing its benefits beyond mere cost reduction and enhanced productivity to include increased speed and flexibility, reduced cycle times, as well as higher accuracy and consistency in operations. Let’s now look at how these enterprise toolsets be used to streamline key processes within a healthcare setting. Provide details about available physicians, symptom-based suggestions or answer any questions a patient may have about the doctor / appointment process. Collect information needed to pre-fill patient information forms prior to the appointment. Voice interfaces can eliminate the need to login to a URL and key in information. This is also helpful to those with physical disabilities. A chatbot or voice bot is an ideal solution for empowering patients to schedule appointments, set up reminders, or make changes as needed. Patients would only need to navigate to the website and type or speak to an automated bot to get their appointment in place. With the patient’s consent, the data they provide during the appointment request experience (i.e. health issue, location, insurance carrier, personal preferences, etc.) could be used for self-scheduling and/or using algorithms to help the healthcare organization provide better patient communications as well as predict which patients may not show up for their appointment for physician time management. A Bot can automate the processing of these critical health follow up steps with final review and approval from facility staff, thereby reducing administration time and allowing for more patients to be seen. According to Ernst & Young, automation can reduce turnaround times for insurance claims by as much as 75 to 85 percent, and it can eliminate 50 to 70 percent of repetitive tasks entirely. Claims management involves a large volume of manual data input, processing, evaluation – all very rule directed actions. This is a perfect candidate for intelligent automation. Extracting and processing information from received claims (from multiple sources and in multiple formats) using technologies like OCR. Identifying exceptions with the help of detailed configurable rules matching and validating which claims need to be sent for manual review. Automating processes that need manual intervention (over a period of time) through rule-based exception handling using Machine Learning. Processing payments of clean approved claims through integration with appropriate systems or departments. And all of this can be accomplished with better speed, accuracy and 24 x 7 processing ability. 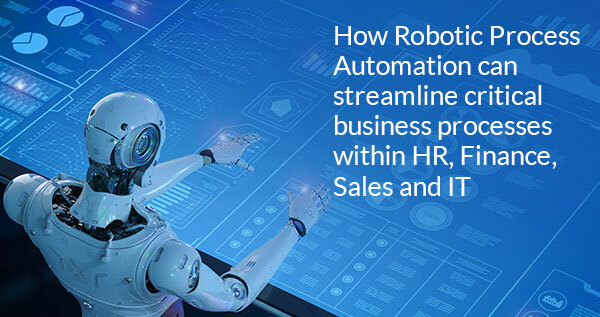 Automation not only reduces manual effort of these repetitive activities but also brings more accuracy by reducing human intervention and error. Digital data collected through chatbot/voice bot technology as well as data from diagnostic tools (X-ray, MRI etc. - typically captured in a digital format), can be made available (through screen or voice) to a physician anywhere at any time. This can provide access to treatment in areas of the world where it otherwise could be difficult as well as save valuable time that is better spent on diagnosis or further treatment. This same data can be used to build a patient’s treatment history for future appointments, requests, referrals or claims, reducing or eliminating administrative paper work as well as the time required to search, consolidate and validate information. These new, innovative tools can even be used to analyze the patient’s condition and treatment response compared to a wider set of patients worldwide. Even non-clinical processes can be optimized in a healthcare setting. Hospitals need to track supply levels for items such as medications, syringes, gloves, needles and more based on projected demand and usage. RPA can assist in automating inefficient inventory systems by determining optimal inventory levels based on previous needs and demand patterns using real-time reporting. Hospital room management, inventory, resources, maintenance management can all be automated via rule-based processes. The benefits of implementing intelligent automation (including automated workflows, conversational bots and more) in a healthcare environment can be expansive. Faster, error-free appointment and effective schedule management leading to higher appointment rate and patient satisfaction. Expedited patient data processing and data retrieval reducing time spent on administration, providing more time for patient care. Safeguarding patient’s privacy is critical in healthcare, and automation can provide enhanced data security via data encryption during transmission and role-based access control. Processes need to be standardized to be automated. Hence all RPA helps healthcare organizations to ensure processes are standardized. Better medication - big data can help in uncovering unknown correlations, hidden patterns, and insights by examining large sets of data. By applying machine learning, big data can study human genomes and find the correct treatments or drugs to treat. Intelligent Automation has unlimited opportunity to make an impact on healthcare operations worldwide. By reducing dependency on manual effort and processes, it can transform the roles of healthcare professionals providing more time for crucial patient care. Of course, there are certain challenges that comes along with automation, but the benefits outweigh them substantially. We are looking forward the transformation these technologies will bring to the healthcare industry over the next 5 -10 years. If you you’d like to automate key processes, but need a partner with the technology expertise to get there, contact us.